Eclectus parrots can moult their small head and body feathers year round. Their larger wing and tail feathers are usually moulted around twice a year but this generally doesn’t start this until around the age of one year. When going through heavy moults you can clearly see all the pin feathers when your bird is wet. It’s not uncommon for the feathers to be show different shades through a heavy moult as they’re older and duller feathers, newer feathers and grey down showing at the same time. 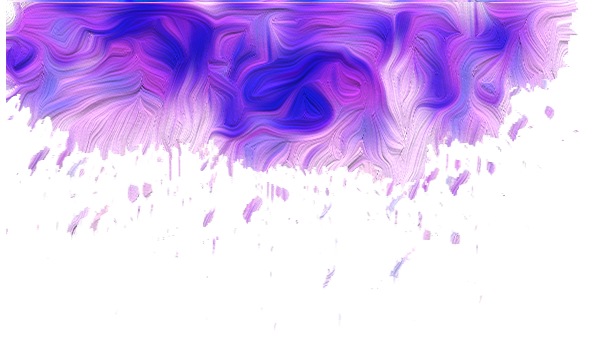 Once all the new feathers have fully grown the birds shine and evenness of the colour comes back. Moults can become an uncomfortable time for many birds. Some birds can experience loss of appetite if uncomfortable. Some birds can be very uncomfortable being handled in the wrong way when they have new pin feathers coming through. Those that don't appear to have as an uncomfortable moult can have a much larger appetite. Generally the Eclectus should not change their mood or be stressed during their moult. It is a natural part of their life and they should go through it without any change in behaviours. While Eclectus parrots generally should not eat high complete protein diets as a normal part of their every day diet, when going through heavy moults they do require larger amounts of complete (animal) proteins. This can consist of egg, meat, seafood, nuts, hemp seed, flax seed, quinoa seed. These all provide the necessary protein and fats required to build strong healthy feathers. Bathing is essential during moulting as well as all year round for your Eclectus. It aids in the relief of itchy pin feathers breaking through the skin. Some. A diluted aloe spray can also benefit in hydrating the feathers and skin when moulting however it is easy to over do it with aloe sprays. While they do benefit while moulting, too much can cause their skin to dry out, causing itching, irritating skin. So an aloe spray about once a week is enough while bathing or showering in plain water daily. It is recommended that birds going through heavy moults get adequate rest and sleep 10 to 12 hours per night. Delayed moulting in captive birds is usually caused by low levels of light. To encourage an over due moult you can increase the level of lighting in your home. Full spectrum lighting, regular outdoor sunlight (vitamin D3), moving the bird closer to an open window, increasing the heat and humidity in the home, daily bathing will all encourage preening and moulting. You can also increase the protein in their diet to encourage and start an over due moult. It isn't particularly healthy for a parrot to have an over due moult. Vitamin D3 is vital for the Eclectus. They can absorb this through the sun by being outside. They do not absorb vitamin D3 automatically by being out in the sun. They will only absorb it when they begin to preen their feathers. Some other causes of delay moulting are stress, malnutrition, infectious diseases and parasites. ‘Mojo Moult’ was named after the first noted Eclectus, Mojo had a heavy moult with face, head and neck balding. Most Eclectus parrots don’t experience this but some can and those that do, the amount of balding can vary individually. People who’re unaware of the Mojo Moult can panic when they suddenly see their Eclectus balding around the head and face and most of them fear it is mites, PBFD or follicle infection. There isn’t a lot that is understood about the Mojo Moult and it can go on for months. Some Eclectus Mojo Moults can be very extreme while others mild. A Mojo moult only occurs in adult male Eclectus. 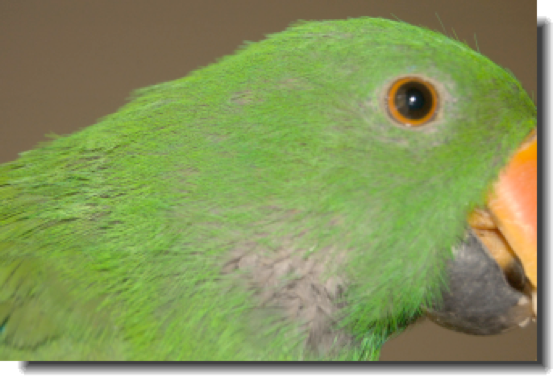 It does not occur in young Eclectus under the age of 2 years however, recently some Eclectus owners have stated their under 1 year old Eclectus has gone through a mojo moult. This is possibly mistaken for a very heavy juvenile moult. The Mojo moult can also be random. You may never see your Eclectus have it. Others may experience it every 1 to 2 years, others can experience it only once in a life time and then there are those who don't experience the Mojo moult until they're 7 years old or much older. The Mojo moult also has no history of occurring in hen Eclectus however, in recent years hens have suddenly appeared and described as having a Mojo moult, the balding which is describes a Mojo. This doesn’t appear to be something that happened in history, only recent. For this reason I don’t describe a hen’s bald patches as Mojo. I describe them as a heavy moult only. 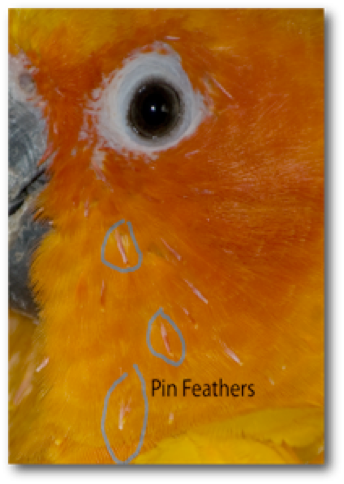 When a bird goes through a moult new pins break through the skin. This causes irritating skin. Bathing and high protein foods can help the pin and feather growth. If your bird allows it, some gentle massaging of the pins will help them the break, otherwise if left alone they will eventually break away with preening. 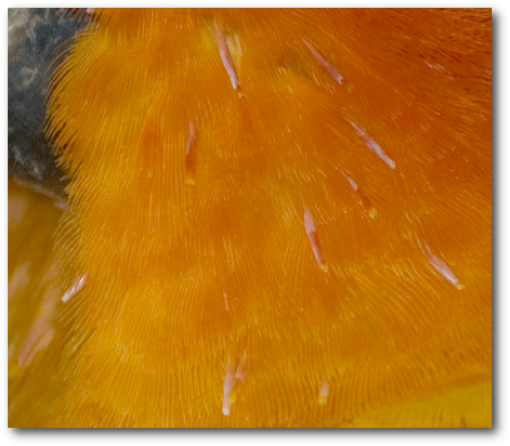 When new feathers are coming through they have a vein going through the shaft (Rachis). This vein helps to feed the feather for growth. This is called a blood feather and clipping blood feathers that’re not fully grown can cause bleeding. Once the feather has fully grown the vein retracts itself back from the shaft into the body. If you accidentally clip a blood feather you can put corn flour straight over the bleeding feather to clot and stop the bleeding. You can also make a paste out of corn flour and aloe gel to use as an antiseptic. Styptic Powder is still widely used and often added to bird first aid kits but there have been cases of parrots dying after being applied. In other cases of using styptic powder the parrots have ended up with tissue burn, death and toxicity. Styptic powder inhaled by humans can irritate the respiratory system.Corn flour is cheaper, has no side effects and does the exactly the same thing. There are many people who choose to pull the bleeding feather out. Pulling out the bleeding feather does cause the vein to retract but it is not recommended. As well as it being painful to the bird, it can also cause follicle damage. It is a very unnecessary action to take. If after using the corn flour the feather continues to bleed take your bird to a vet. Moods can also change, remain the same. This can depend on the individual. Some Eclectus go through Mojo’s or heavy moults and don’t change in attitude or mood, while others can become quite cranky. Having pins poking through their bodies, regardless of how natural it is for them, can become a very uncomfortable experience for some. 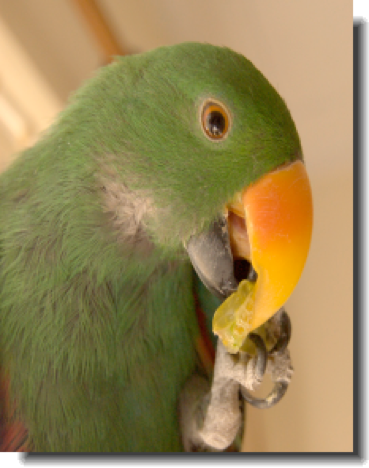 During particularly heavy moults Eclectus can also lose their appetite or double or triple their appetite. Those that lose their appetite are found to be a little moody or have had little time or patients that they may normally have. The Eclectus that has an increased appetite appears to breeze through their heavy moult. their moods don’t change at all and the only noticeable thing (apart from feathers falling), is they are eating non stop. Loss of appetite and moody Eclectus and gain in appetite and no mood changes are both normal for heavy moulting Eclectus.